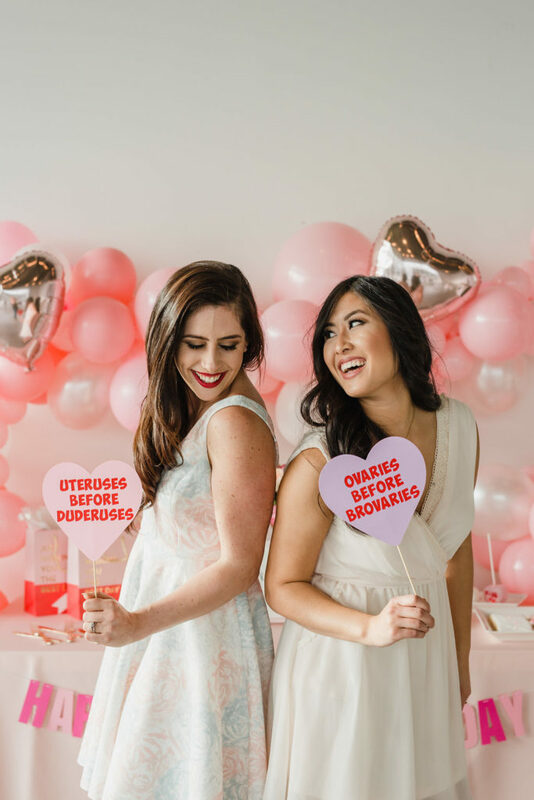 Valentine’s day is great for celebrating with your partner but why not take the time to celebrate the lovely ladies in your life too? 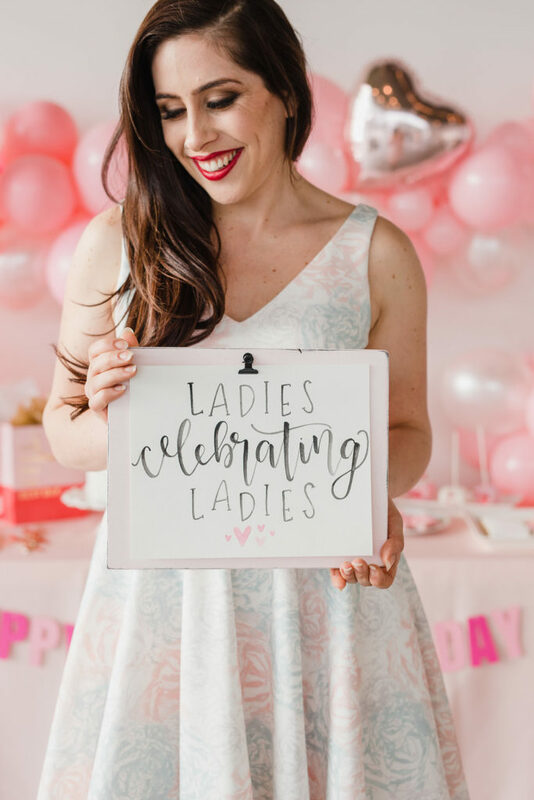 What started as a fictional celebration introduced in 2010 by Leslie Knope from Parks and Rec has now become a popular holiday inspiring women all over the world to celebrate their lady friends. 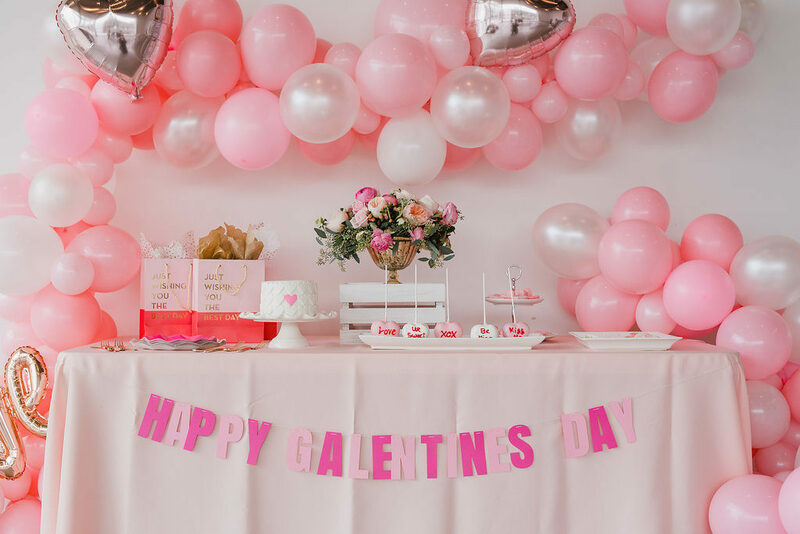 Galentine’s Day occurs on February 13th, the day before Valentine’s Day. 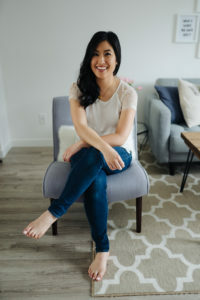 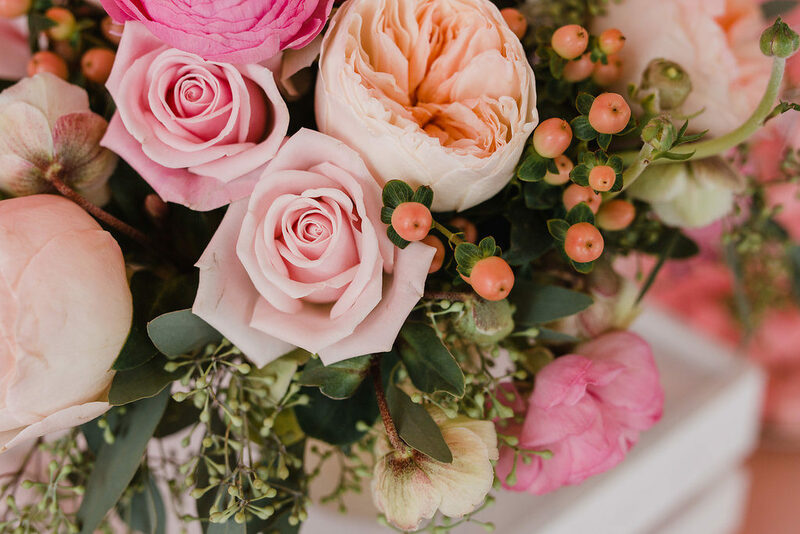 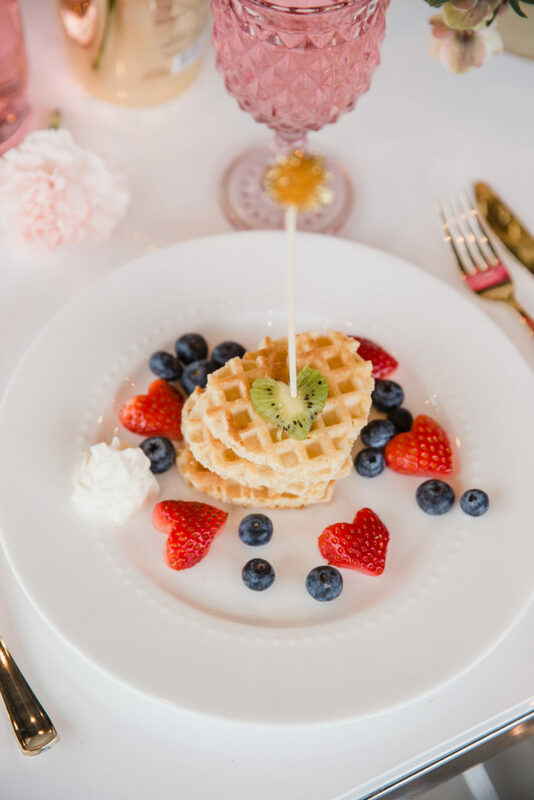 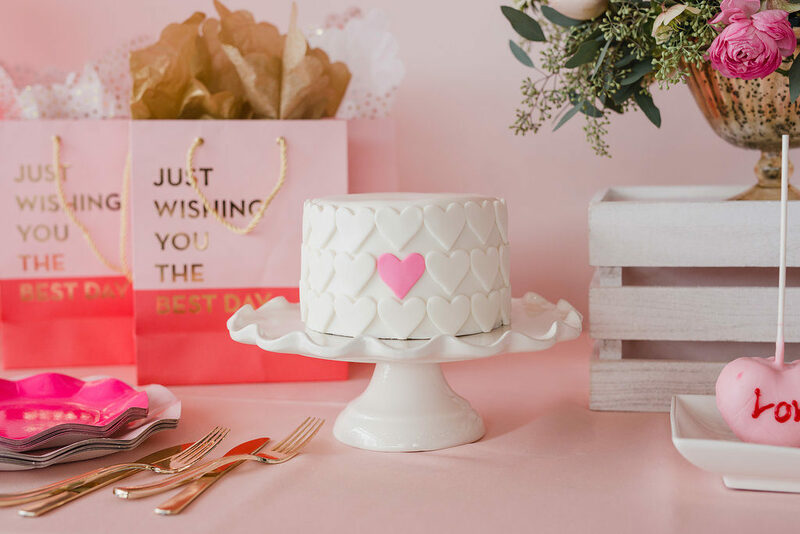 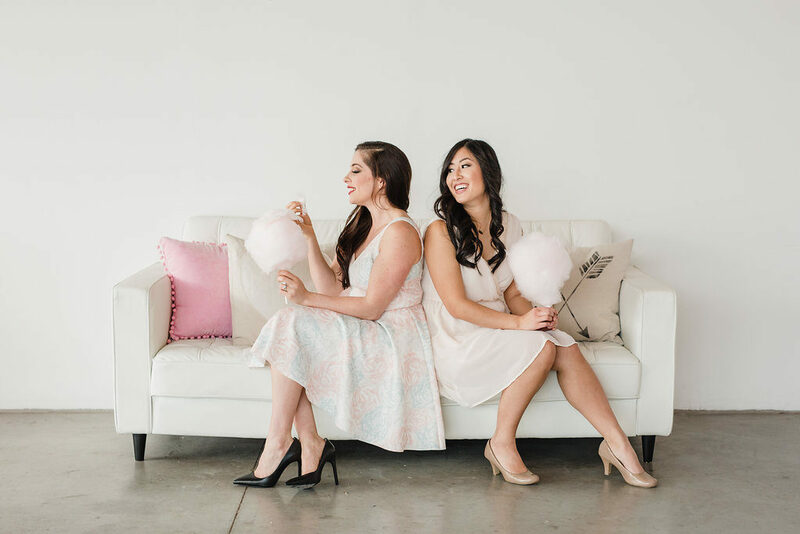 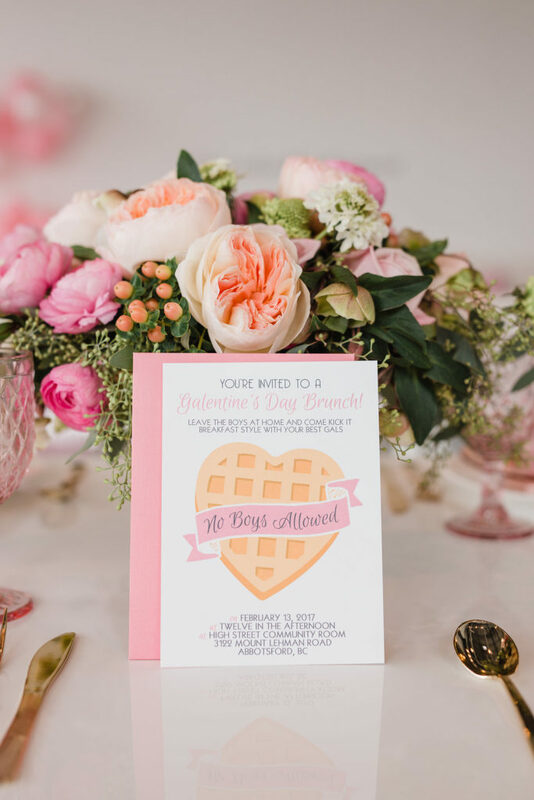 Captured beautifully by Amber Leigh Photography and styled by yours truly, this swoon-worthy Galentine’s day brunch celebration will make you want to leave the boys at home and kick it with your best gals, breakfast style! 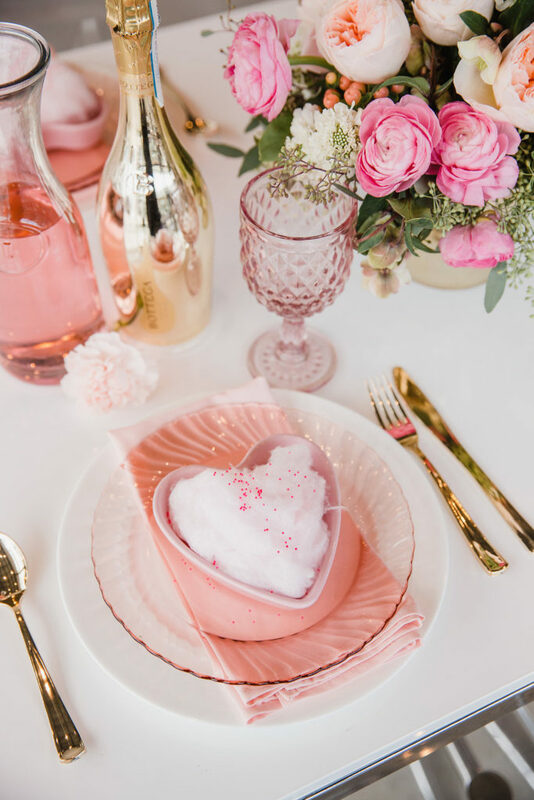 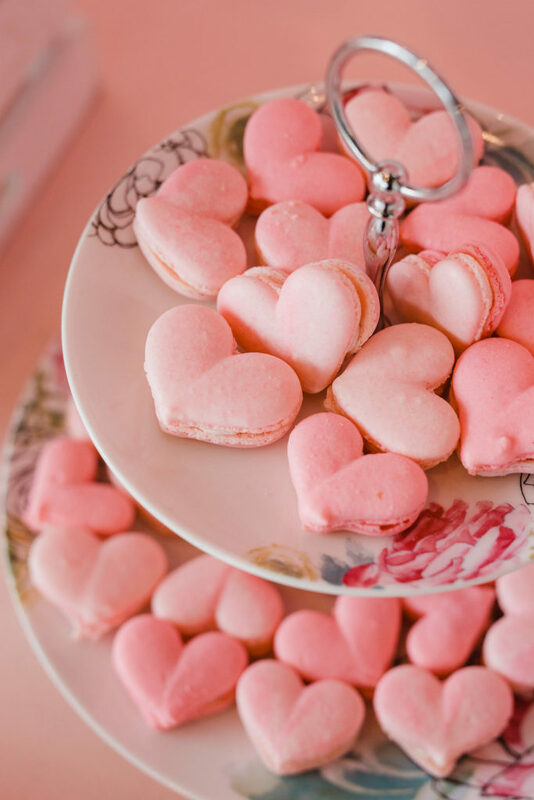 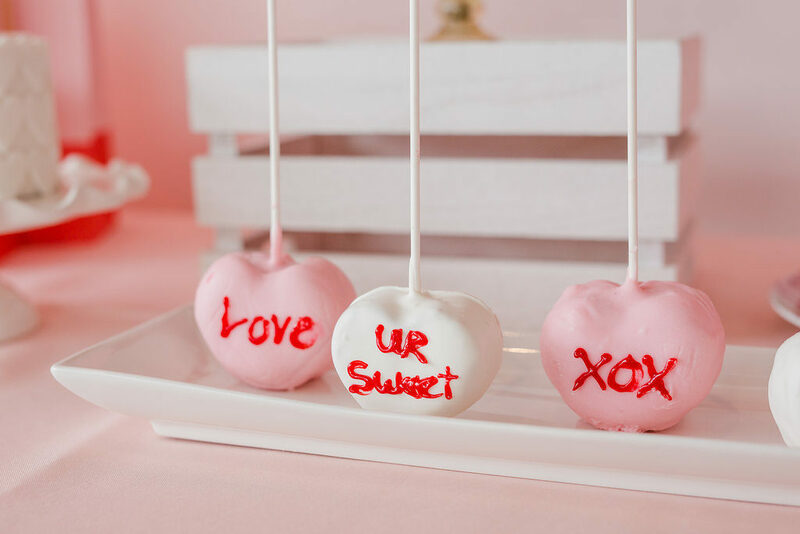 We served up an abundance of delicious treats including the sweetest heart themed cake, conversation heart cake pops, hand-decorated cookies, and delicate macarons. 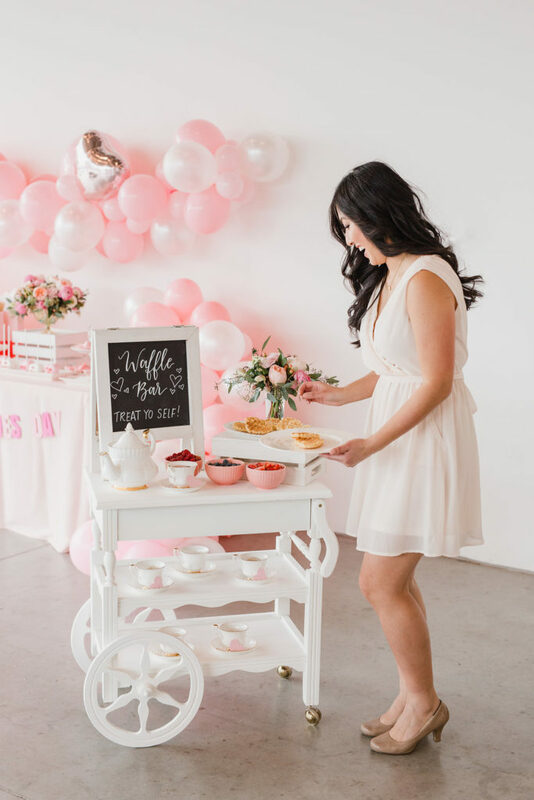 We also included a DIY waffle bar on the most adorable tea trolley. 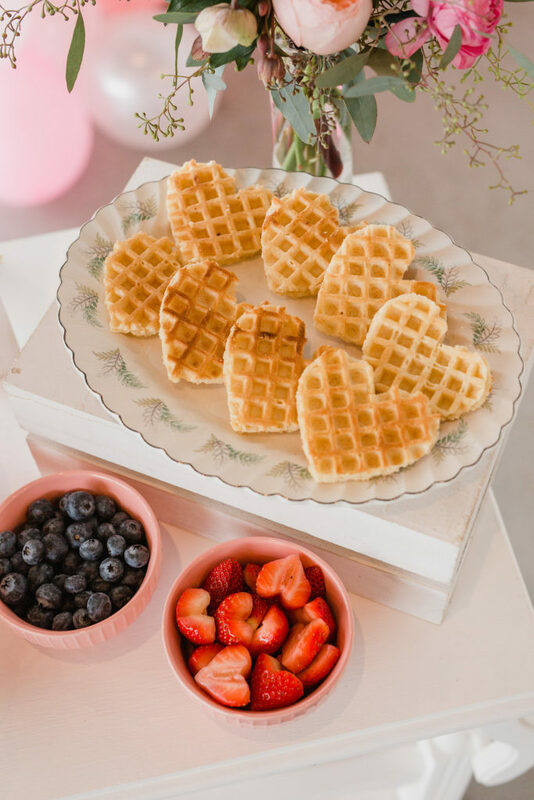 We used a cookie cutter to create heart-shaped waffles and strawberries. 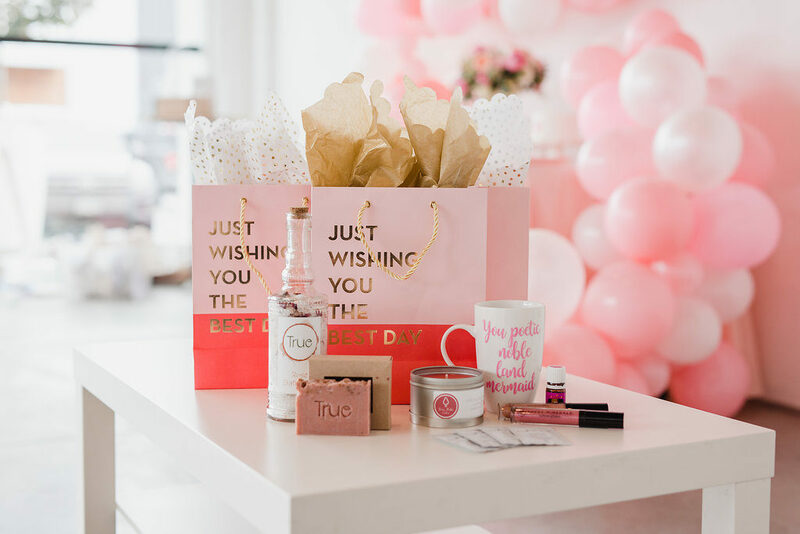 We put together a gift bag full of curated local goodies for our guests. 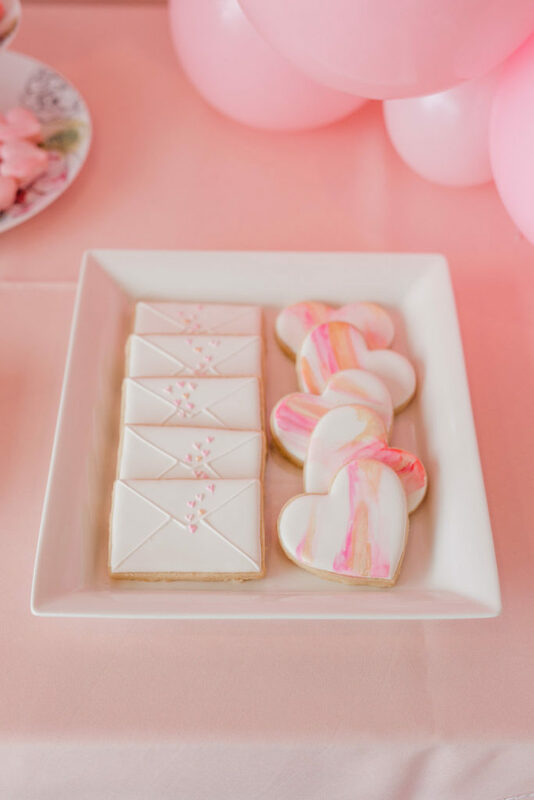 Cookies: Sugar Coma Cookie Co.